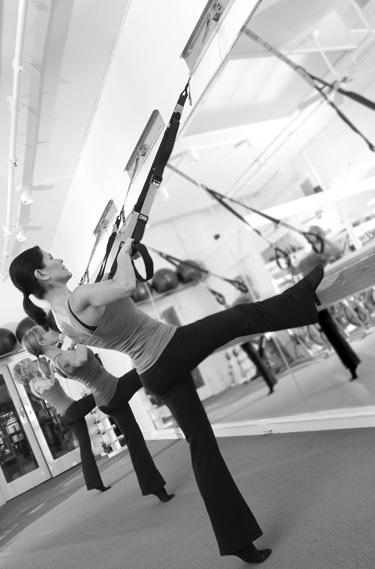 Poised XBarre™ combines TRX suspension training with a unique barre-sculpting repertoire. Proper neutral spine, shoulder stability, thigh and bottom, and ab-firming are the key elements of this effective fun training technique. The 55-minute XBarre™ training is calorie burning and body firming workout that is followed by a fluid yoga inspired active stretch and mindful relaxing cool down. Offered as Small Group Training.